Teeming with historic landmarks, Boston’s legacy as one of America’s most important cities dates back to its pivotal role during the American Revolution. Today that role can be remembered by embarking on a Freedom Trail, a 2.5 mile waking route that tells the story of the nation’s founding. Yet Boston is also a truly modern place, with plenty of shops, restaurants and nightspots to enjoy. 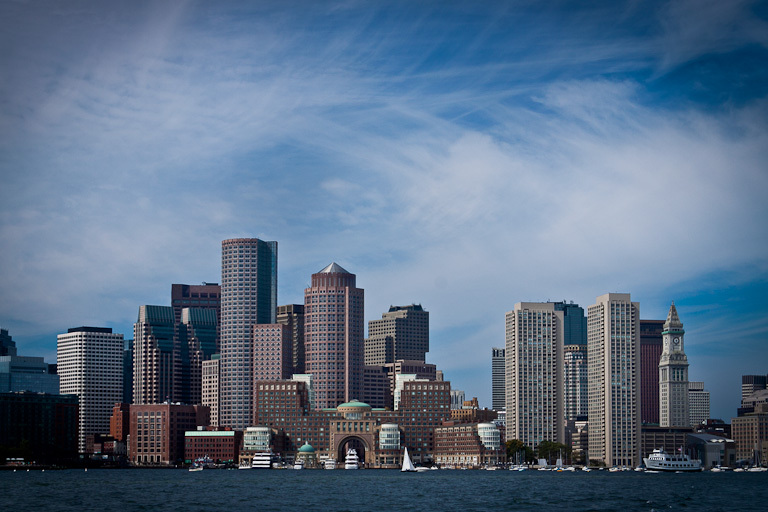 Anyone visiting Boston will find a wide array of accommodation options to choose from. Among them are several upscale hotels offering a high level of luxury along with a convenient location in the heart of the city. If you’re keen to stay somewhere with plenty of character too, then why not pick one of Boston’s luxury boutique hotels? Here are 5 of the best. Prominently placed and conveniently located, the 63-room XV Beacon is situated in a turn-of-the-20th-century Beaux-Arts building on Boston’s historic Beacon Hill. Each of the hotel’s rooms is individually designed. Guests enjoy four-poster queen bed classic rooms or queen and king-size bed studio rooms, whirlpool baths, heated towels, in-room fireplaces, complimentary high-speed Internet access, 400-thread-count linen sheets, complimentary Lexus sedan service, and museum-quality artwork throughout. Mooo… restaurant and its subterranean Wine Cellar are not to be missed. The latter holds an immense collection of 750 selections and 4,000 bottles of fine and rare wine dating from the 1700s to present day. 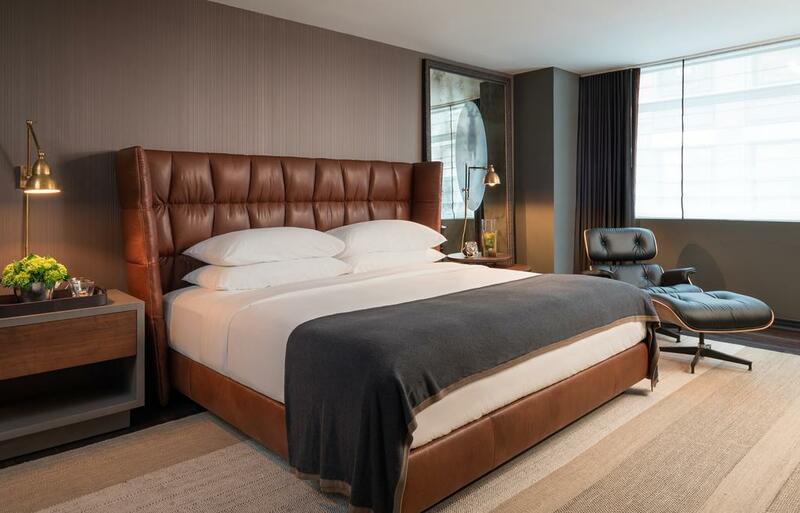 Situated in Boston’s busting Seaport neighbourhood, the Envoy is not only a top notch boutique hotel but also one of the city’s hippest hangouts. Tourists and locals alike gravitate here to lap up its hand-made craft cocktails and micro brews while enjoying sweeping skyline views from the rooftop bar. There’s also an acclaimed on-site restaurant serving locally sourced food. If you’re staying here, you can look forward to bold, colourful interiors throughout both the communal areas and guest rooms, many of which are positioned to provide waterside views of Boston harbour. If you’re here during the colder months, you’ll also get to marvel at the hotel’s 7-foot-tall glowing igloos. Washington Monument is just a few minutes’ walk away. 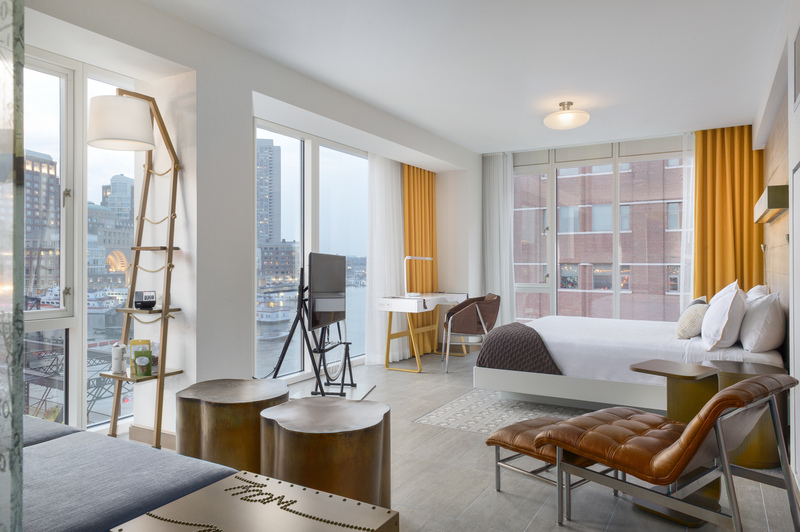 This stylish Boston hotel has music in its DNA. Air-conditioned guest rooms are dotted with pop artefacts while visitors are also invited to spin discs on the lobby’s vintage turntable. 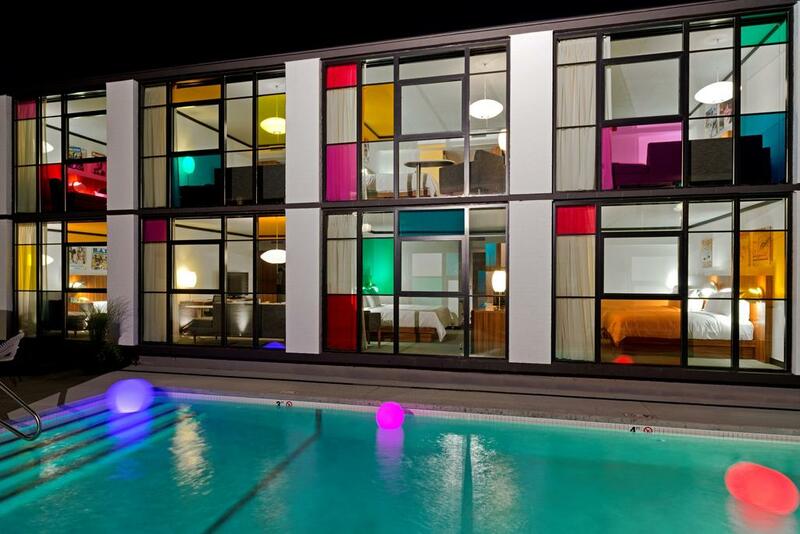 As for amenities, there’s a large outdoor pool and a peaceful central courtyard where guests can relax and unwind. A number of top quality shops and restaurants are within easy reach and the famous Fenway Park baseball stadium, home to the Boston Red Sox, is located directly behind the hotel. For culture vultures, the Museum of Fine Arts is also within walking distance. Located in Boston’s historic Back Bay district, teeming with designer boutiques, fashion chains, art galleries and patio cafes set in elegant brick townhouses, the Inn at St. Botolph combines a desirable setting with some great amenities. 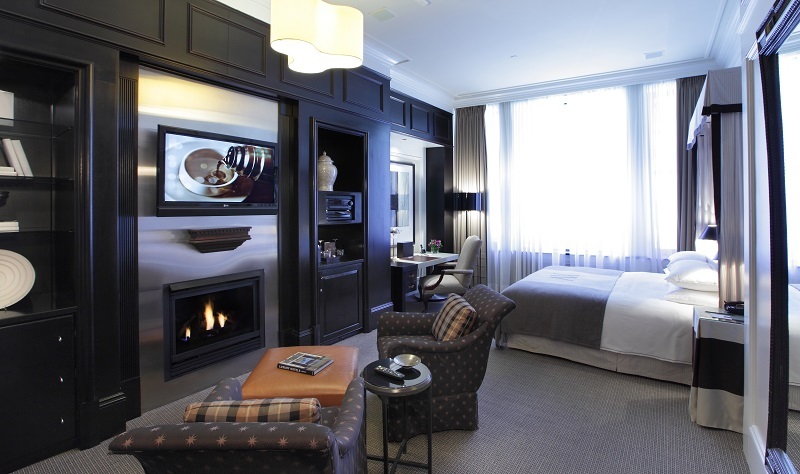 Small and intimate, its guest suites boast eye-catching copper fireplaces and signature bow-front windows, lending it a look and feel that sits in perfect harmony with the hotel’s surroundings. More practically, suites also feature a kitchenette and iPod docking stations. Continental breakfasts are served in a cosy lounge area each morning, and there’s also an on-site fitness centre. Ideal for a rainy day, the shops of Prudential Center are just a block away. With previous guests including the likes of Justin Bieber and Lady Gaga, it’s little surprise that Nine Zero has garnered an uber fashionable reputation. Situated just a block from Boston Commons Park, it also offers plenty of respite from the hustle and bustle of the city. As for guest rooms, they are designed in a modern style and come with a flat-screen TV, iPod docking station and fully stocked minibar. Pets are also welcome, and there are pet beds and dishes available for the use of your furry friends. Other hotel amenities include a lounge area where breakfast, drinks and evening bar snacks are available, and reservations for local excursions and restaurants can be booked with the hotel’s dedicated concierge team. The famous Quincy Market is a brisk 10-minute walk away.